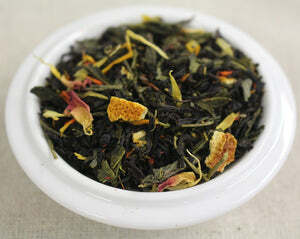 Ingredients: Black tea, green tea, orange peel, natural flavoring, rose petals, safflower and marigold petals. Mug (8oz water): 1 level tsp • 205º • Steep for 4 min. 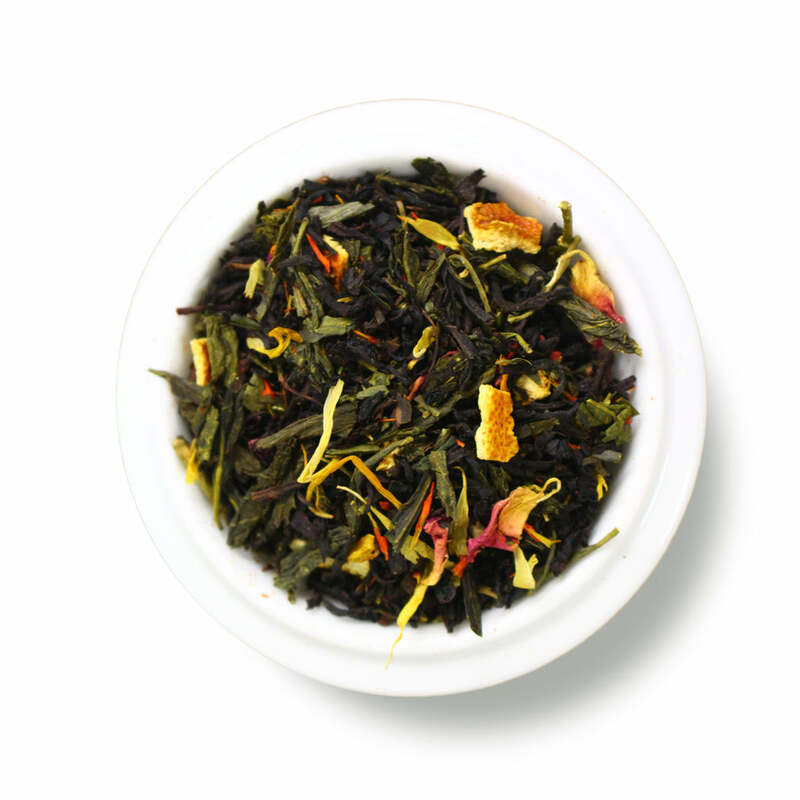 Teapot (8oz water): 1.5 level tsp • 205º • Steep for 3 min.